Increasing consumption of alcoholic beverages amongst children- especially teenagers and adolescents is an alarming new trend that has followed. However, for the short- term pleasure, these adolescents do not realise the long- term problems they can encounter after excessive consumption of such beverages over time. It has disturbing effects on your mental, social and physical health which might affect them even as an adult. Therefore, to make young people aware of the vices of underage drinking, here are some mental and physical effects of drinking from an early age. According to a study by the Chief medical officers of England, young people who misuse alcohol and other drugs are likely to encounter negative health and social problems as adults as they haven’t matured their mental and physical being. While vomiting, appetite changes and nausea are the short term health problems, young people encounter with alcohol consumption, excessive intake of alcohol can also have disastrous long- term and chronic effects. Frequent and prolonged usage of alcohol consumption in your youth can also have an effect on the overall brain development. Since brain is still developing during the adolescent years, impulsive alcohol intake can hinder its growth. Liver problems often occur by heavy drinking over a long span of time. However, if this habit is taken in from a young age, then you can suffer from chronic liver damages or even failure at a very young age. Puberty is often associated with growth and hormonal development within both males and females. Consuming alcohol during these years of rapid growth and development can slow down the process or inhibit it. Disbalance can have also effect growth on organ, muscle and bone growth. Alcohol has obvious physical consequences, especially in the growing age. But it can also effect a child’s mental health by causing behavioural and learning problems. Since alcohol is a depressant, it can cause major mood problems. Moreover, it can affect the academic and cognitive part of life as it can cause low concentration, laziness, reckless and often deviant behaviour. A lot of teenagers believe that drinking can help their mood swings or depression- which is often a regular occurrence during the growing years. 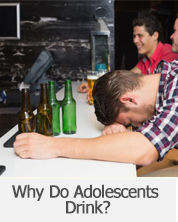 Adolescents are overwhelmed by physical and lifestyle changes and seek for short- term relaxers like alcohol. However, alcohol can cause further depression and even anxiety if it is consumed regularly creating more problems during youth which can be extended in their adulthood. Alcohol is also seen as an indication of many psychological disorders like depression, OCD, bipolar or even eating problems. They can inhibit an individual’s rationale and result in ill- planned decisions which can affect young people their entire lives. Drinking at a young age may seem as an exciting idea because it might be something your friends do or you might think it will help with your stress. However, waiting for the right age and time is the right option. Don’t lose out on your youth by drinking! HOW CAN FAMILIES CURB UNDERAGE DRINKING? If you’re a family with a teenager, chances are you’re in much trouble already. There might be a constant looming chaos at home about a neighbour’s dog (or parking space), a possible car wreck, teachers’ notices and video games. That’s the drill with most kids and is to be considered natural. They’re just growing up. Teenage is not easy for the parents either. It is all happening for the first time and no habit or argument seems to have a logical head or tail. All this may actually turn you into a parent who lives in a constant ‘denial’ of sorts and insists on saying “not my kid!” from the drop of a hat to spotting a flying saucer. In other words, some of us may come to blindly believe and take the role of orthodox parents. Some others may fall in the ‘chill parents’ category. The truth is, regardless of whatever type, parents will have little influence on their teenagers unless it is by example or a talk. Especially when it comes to topics like drinking alcohol and when and how one should be drinking, the teenage brain tends to turn itself off. Here are some insights that could help you understand when you’re child is prone to drinking. A major change in social life may nudge them to try a drink or two. This may happen when they graduate from school to college, or even while they are still in school but widening their friend’s circle. Some kids start drinking when they get their first ride. A car or a bike makes them have more control over their time and lives and that may lead them to experiment with more ‘fun’ things. A history of conduct problems and a group of friends with deviant behaviour may encourage teenagers into feeling one-more-thing like alcohol would not be an objectionable thing. Drinking would be just another nasty thing they love to do! Some kids find their way to alcohol trying to escape the emotional bitterness that comes to them with age. Peer pressure, stress, lack of family support may lead them to feel emotionally empty and they might stray towards a beer store trying to find their way out their troubles. A good way to keep your children from any bad habit is by setting an example. Every teenager has a role model that they admire and to them at their age, the role model seems to give purpose and passion to their life. 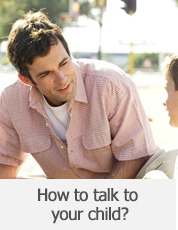 Talking to your child or setting a good example will keep them away from harmful indulgence and consequent trouble. Don’t be excessive. That means not drinking too much too often. This may sound like a difficult thing to do – but an effective way to stop your kids from partying way too much is by you not being a party animal yourself. Stay away from alcohol in high-risk situations. This includes not driving after drinking, keeping away from the pool and not diving after having alcohol. 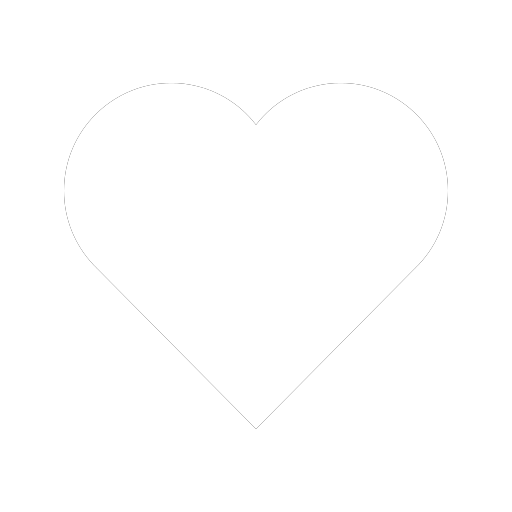 The simplest mantra is to make efforts to be friends with the kids and try to be involved in their lives. Of course, they need their space to grow but at the end of the day, but they need love and care as always! Human nature keeps on changing as people develop. From the day a child is born to the day he becomes an adult, the body and mind goes through a lot of changes. As soon as a child hits puberty you will start noticing sudden change in his behaviour and this can be very difficult to understand or even deal with. A child goes through many physical and mental changes from the age of 11 till he/she becomes an adult. Nurturing children during this time is very important as the behavioural changes will define how their future is going to be. This change is due to few chemicals in our body called hormones. It could be a frustrating job dealing with children during this period of change as children would want to be more independent. They will learn how the world works and would spend more time with their friends then their parents. Kids will experience new things and try to figure out how they want to live their life. At this point of time, they will do all kind of crazy things and can also do some stuff that could be bad for them. Parents have to be very open minded and should learn assertive approach of helping their kids to walk on the right path. There are a lot of things a kid could be doing behind you back and we will tell you what are the most common things they do. It’s a Secret: Kids are very good at hiding stuff from parents. If they are doing something that they think can upset you then they won’t share it with you. They may even have friends that you don’t know about who might be a good or a bad influence on your kid but you will never know about it until you become more open minded and more involved in your kids life. They won’t understand: Your kid could be going through some stuff that is affecting them emotionally like a fight with a friend or getting rejected by the girl they liked. Parents should not take these things lightly because the rising rate of hormones could impact your child’s psychological condition and you should deal it with patience and by understanding how important it is for your kids. Watch me – Watch me: A child desires attention without even knowing it. They cross all the boundaries to seek attention of their friends or people in their family. They might start smoking and drinking just to act like grown-ups or being cool amongst all their friends and classmates. It is a parent’s role to pay attention to what their child is doing and not the child’s responsibility to seek their attention. 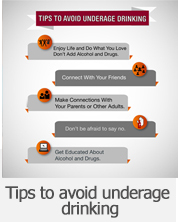 Underage drinking: There could be a number of reasons for a kid leaning towards drinking. Kids are very observant and are influenced easily by the things they observe. Domestic clashes between parents, watching their parents drink, peer pressure could lead them towards drinking alcohol. Only a parent or guardian could hold a child’s hand and lead them towards the path of development. You let them out of your sight for one moment and you will find them walking towards the unknown. It might be good, it might be bad but you’ll never know until you’ll walk beside them.